Prime Minister Narendra Modi may have compared his government's efforts to flush out black money with his Swachh Bharat Abhiyan. But the ministries and departments operating under him appear to believe that reports prepared by them on black money cannot be made public because they were covered under secrecy clauses of the Right to Information (RTI) Act. While an academic study on the subject has been prepared by the National Institute of Public Finance and Policy (NIPFP), the National Institute of Financial Management (NIFM), both under Union finance ministry, in alliance with the National Council of Applied Economic Research (NCAER), a non-profit economic policy research institute, the Black Money Special Investigation Team (SIT) has submitted five other reports have been submitted to the Supreme Court. 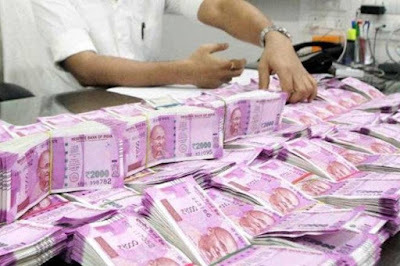 The replies followed Nayak seeking a copy of study reports prepared by NIPFP, NIFM and NCAER on the subject of quantum of black money, as also reports submitted by the Black Money SIT to the Supreme Court of India. While the Black Money SIT, declared last year a public authority by the Central Information Commission, said it did not have any report on black money prepared by the NIPFP, NCAER and NIFM, among the first to reply, says Nayak, ironically, was the Foreign Tax and Tax Research Division of the Central Board of Direct Taxes (CBDT) replied the information sought “did not pertain to their office”.